The Bath & Body Quartets are all reduced to only £30.00 and I ordered the Ambre Vanille one. I already have the Creme Brulee set and it is incredible, so I couldn't resist adding another one to my collection. The Bath & Body Duos and Travel Quartets are even cheaper and you can get them for... £15.00!!! What a bargain! I ordered the Fresh Fig Travel Quartet, because I adore the Fresh Fig Souffle Body Creme. I was also tempted to order some Laura Mercier makeup, but I promised myself to stop buying new lip and eye products :) If you need some stunning lip glosses in your life, I can highly recommend Laura Mercier Lip Glaces - they are a dream to apply and smell of vanilla! Yum! 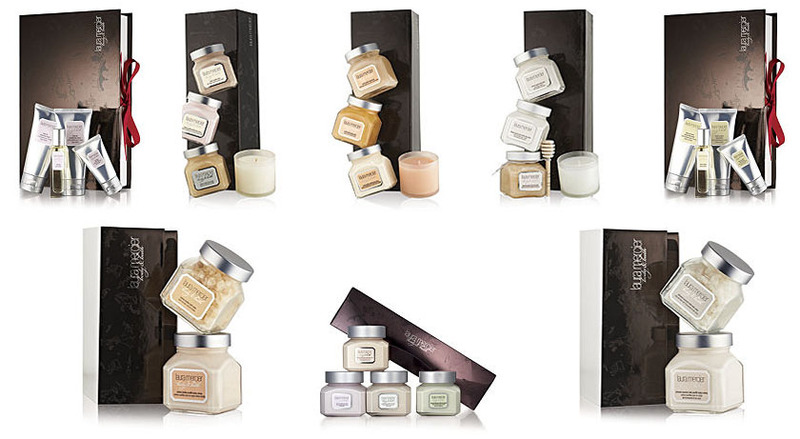 You can find all my Laura Mercier bath and body picks here and the makeup sets here. Have you ordered anything from the Harrods sale?